Try something new! Arts and Crafts Kits are available in the Arts & Crafts Neighborhood, in the West Wing, or place a request via catalog.tscpl.org. Learn techniques for knitting, origami, crochet and tatting. 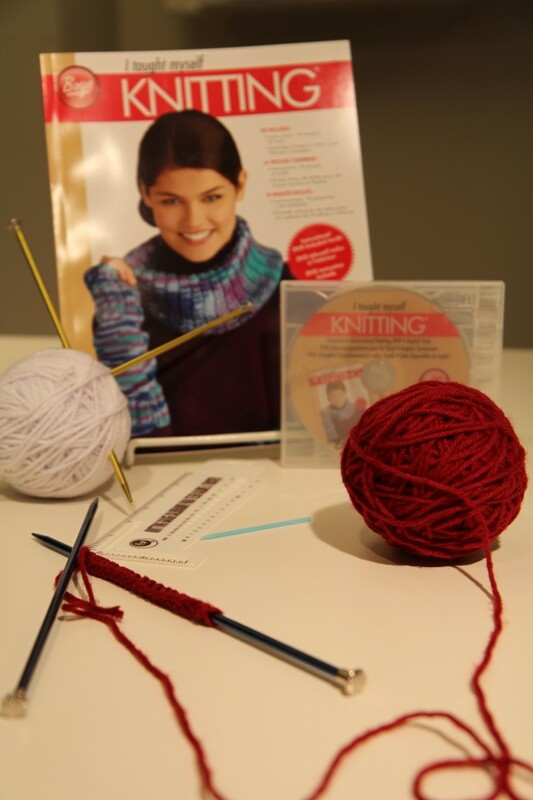 Kits come with supplies (yarn, paper, etc) you can use up – plus books, DVDs and tools that you’ll need to bring back. Kits check out for 21 days. Upon return, the library will restock for the next person. Bring in your completed piece and let us know how you enjoyed your project. This is a new service of the library so we’re looking forward to your feedback. Leave a comment if you can’t come in. Lissa Staley helps people use the library. She is a Book Evangelist, Trivia Emcee, Classics Made Modern book discussion leader, NaNoWriMo Municipal Liaison, HUSH podcaster, and frequent library customer. She loves her kids, being a librarian, living in Topeka, and helping people form connections and community. She reads a new book every few days, but recently enjoyed the audiobook of "Let's Go (So We Can Get Back): A Memoir of Recording and Discording with Wilco, Etc." by Jeff Tweedy, which a library customer recommended to her. Posted in Around the Home and tagged crafts, Crafts Neighborhood. This sounds wonderful! Excited to try a kit out.